In line with the perennial Shakespearian dilemma – “to do or not to do, ….”, a lot of us face similar predicament when we have to decide whether to buy or not to buy another residential property. For many Indian families, investment in property is one of the most potent and presumably gainful options that they have in hand. Aspirations and plans to acquire new residential properties take up a lot of time and energy during their lifetime. However if this decision actually gainful or not will need some close examination. 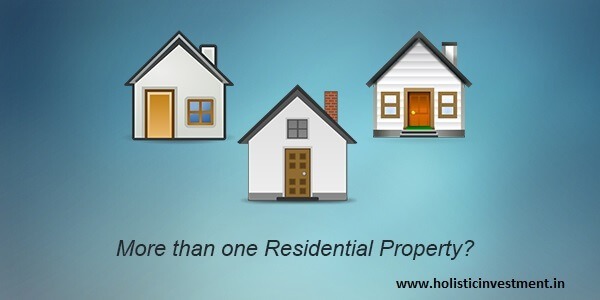 Why more than one residential property? Why do people decide to invest in properties? 2. Expectation of good returns. Besides, there is the additional gain of income tax benefits through tax exemptions. an assessee is exempt from paying income tax for principal amount repayments uptoRs. 150,000 under section 80c (clubbed with other benefits under this section). Interest paid on housing loans upto Rs.200000 is also exempt from tax under section 24b. Buying multiple houses and renting them out also fetches rental income and certain tax rebates are available to the assessee for such form of rental income subject to certain conditions. 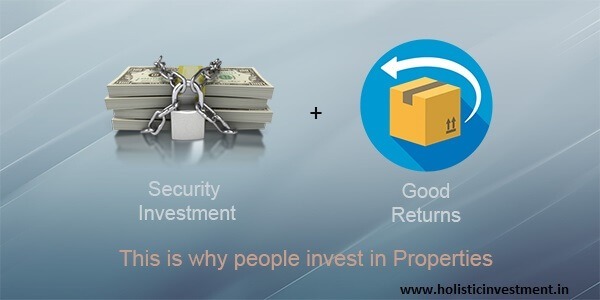 These are broadly the reasons why people opt to make investments in property. What are the tax implications for owning more than one property? 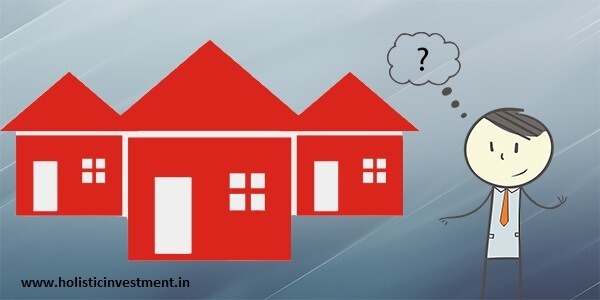 When a person opts to purchase more than one residential property, the tax exemption for principal repayment, under section 80c, is available only on the property, which is ‘self-occupied’. 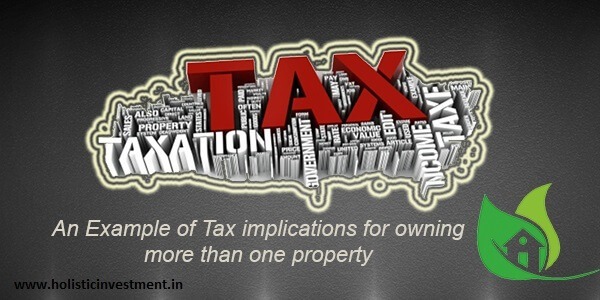 For all other properties which are not self-occupied, rental income has to be declared for rented out properties and notional rental income needs to be shown for those not rented out, and tax will be applicable for all such rental incomes (both actual rent received and notional rent). However, as far as tax exemption on the interest repayment part of all such property held by the assesse is concerned, he is entitled to the same under section 24b. While the above rules and laws may be known to many, it may not be known that more than one residential property attracts the provisions of Wealth Tax. Property other than the one that is self-occupied comes under the purview of Wealth Tax. Exemption of Wealth Tax is allowed to non-self-occupied residential properties only when each such property has been let out for rent for a minimum period of 300 days in a year. An example can be given to illustrate this further. Mr J has three residential properties. One is self-occupied and among the other two, one is out on rent for the full year, while the other is lying vacant. Mr J paysRs. 100000 for the self-occupied house and Rs. 150000 each for the other two as principal repayment. The interest payment is Rs. 75000/- for the self-occupied house and Rs. 125000/- each for the other two properties. As per Income Tax rules, Mr J is entitled to tax exemption for principal (Rs.100000) on account of self-occupied house, the entire interest (Rs.325000) on the three properties and can claim wealth tax exemption for only one amongst the other two (the one which is rented out for the full year). 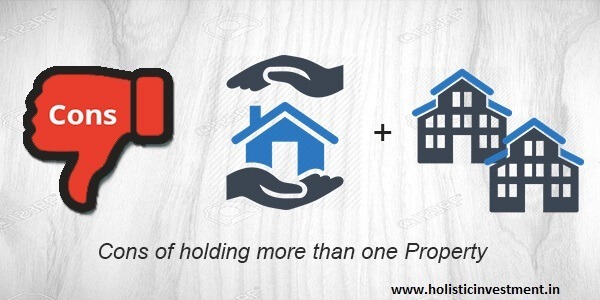 What are the ‘cons’ of holding more than one residential property? i. By purchasing multiple house property, one has the obligation to repay such loans on time and this entails substantial outgo of funds, which in turn leaves limited or nil funds for investing elsewhere. ii. Inflexible repayment schedules can seriously constrain any mid-term investment opportunity elsewhere, due to fund scarcity. iii. The annual yield form property investments are pegged at 11-12%, which is considered below par when compared to investments in equities. This 11-12% includes the property value appreciation. If we take into account only the rental income, it will be around 3% only. iv. Return on properties are often expected to be spectacular, it is however actually not so all the time. If, by chance, any natural calamity occurs in or around the area where the property is held, it is likely that the same will yield negative returns in such a situation. v. Tax and property laws are subjected to frequent changes and the maximum tax benefits derived out of property is when one single residential property is held. Whether to go or not to go for more than one residential property? An ideal situation would be one where only one residential property is owned. However, there are many familial considerations, which often have to be taken into consideration and in such situations it becomes necessary to purchase more than one residential property. If multiple residential properties need to be purchased, then it is advisable to ensure that such properties are let out for rent. The rental income can then be used for making other investments. This allows the investor to have a diversified investment portfolio. Another option, which may be considered, is going for investment in one residential property and multiple commercial properties. This will allow a host of tax benefits that are available for investments in commercial properties. On a parting note it can be said that it is always useful to understand all the implication of tax and land laws before arriving at a decision about investing in multiple residential properties. Can you share your views about buying one more house in the below comment box? Previous Previous post: How to validate the Underperformance of a Mutual Fund?